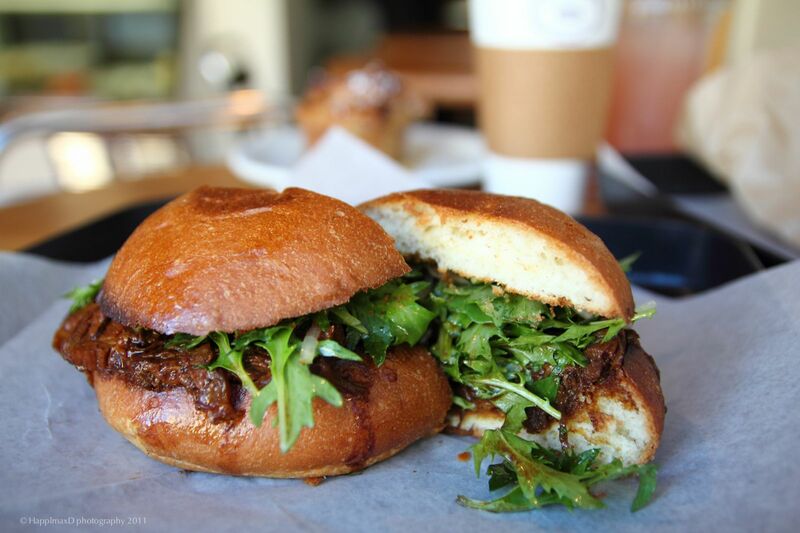 The Wooly Pig Café near UC San Francisco’s campus knows how to make a mean sandwich. This laid-back coffee shop and sandwich spot is known for local favorites like the “Briny Egg,” (an herb-y egg salad sandwich with capers, cornichons, and anchovies) and the eponymous “Wooly Pig,” (braised pork belly). We honestly couldn’t pick a favorite sandwich if we had to, so go early and see for yourself what looks good before they sell out. This is a fantastic hidden cocktail and coffee place in Fort Mason with a modern Scandinavian-like setting, great views, and a librarylike vibe. The Interval also serves small bites, including a selection of spreads served with La Panzanella Croccantini, beef jerky, meat sticks, pickles, and ice cream sandwiches. Just don't eat everything together. Enjoy a meal at Flores, a trendy restaurant situated on Union Street. They specialize in combining traditional Mexican cuisine with high-brow cocktails, both of which compliment with the buzzy atmosphere. Grab a seat at one of then hightop tables then give yourself some time to browse the menu. It’s hard not to be intrigued by fried masa dumplings, white fish ceviche, braised beef empanadas, and white bean frijoles. Pair your dishes of choice with the Curandera cocktail, a stellar mix of tequila, mezcal, agave, ginger, and lemon. This dim sum house is a bit gritty but it's considered by many locals as the best place in Chinatown for the popular Cantonese fare. New to dim sum? No worries, their extensive menu includes photos. Can't miss dishes include soup dumplings and green beans in XO sauce. This place is popular, so there may be a line, but it's worth it. La Ciccia is a rustic, family-run Italian restaurant on the edge of Noe Valley specializing in dishes from Sardinia. 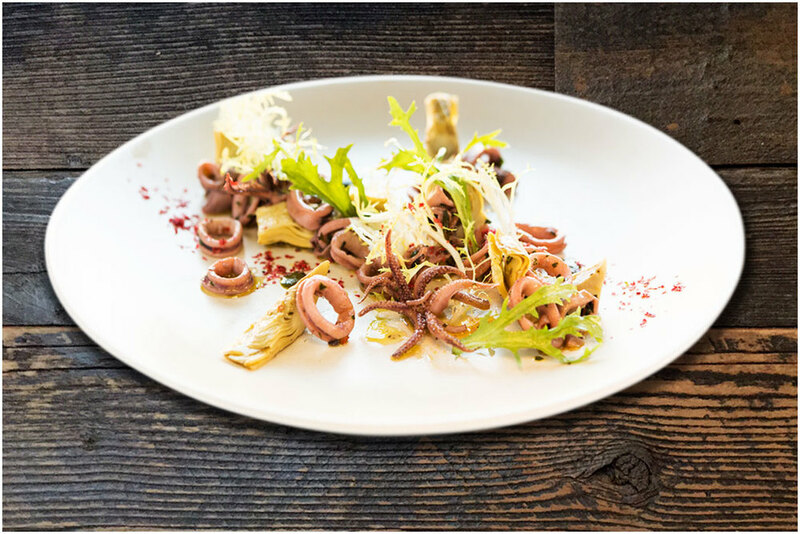 Owners Massimiliano Conti and Lorella Degan are totally committed to taking you on a culinary journey through the pungent flavors of their native island - don’t miss the spicy octopus stew, the sea urchin pasta, and the unusual wine selection. The warm service will make you feel like you’re part of the tribe, though the cozy dining room can sometimes feel cramped – be sure to reserve ahead. At the second location of Nopalito, owners Laurence and Allyson Jossel and Jeff Hanak hope not only to replicate favorite dishes but also to build a more complex repertoire. At the original Nopalito, they are restrained by the size of the kitchen; on Ninth Avenue, there's room downstairs so they can butcher whole lambs, pigs and goats, which will find their way upstairs to an expanded menu. The new Nopalito is every bit as good as its predecessor. You can get familiar items such as the crisp, seductively greasy gordita ($4.50) stuffed with sweet sauced beef brisket, chorizo and cabbage; and the panucho ($4.50) piled high with chicken stained red from achiote, with black beans, cabbage, pickled red onions and the kick of salsa habanera. Most combinations have their own salsa that brings out the best in the other ingredients. It could be salsa de miltomate with the gordita; salsa de morita and tomatillo with the fish taco ($4.75); or pico de gallo with the carne asada ($16.50). The posole ($12), a favorite at the original restaurant, is just as good here. But I might have found a soup that's even better - caldo tlalpeno ($10), a rich chicken broth filled with chunks of carrots, garbanzo, florets of cauliflower, green and yellow wax beans and chunks of queso fresco.